Off the back of their recent collaboration, Perfect, comes another beautiful picture book from Danny Parker and Freya Blackwood. Molly & Mae is a tale of a friendship that unfolds over the course of a train journey. 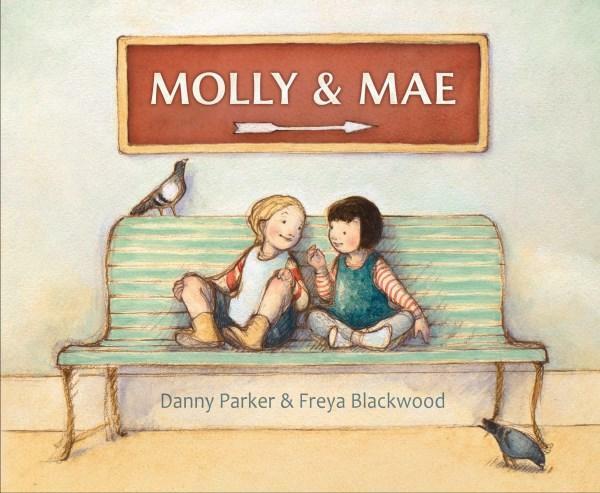 Molly and Mae first meet on a train platform, where they giggle, play and delight in each other’s company. They continue to bond on a beautiful spread that chronicles a timetable of events (8.45 Sherbet, 9.05 Secrets), cementing their friendship as the ‘forever’ kind. On board the train, we see their friendship deepen, then boredom sets in. Eventually, things go wrong. The clever use of train signage in the illustrations helps to chart their journey. For example, when Molly and Mae identify each other’s faults, there’s a ‘Signal Failure’ sign in the background. The sign pointing to a ‘Bridge’ indicates a resolution. The text reflects the emotional ups and downs of any relationship – ‘There were hills and valleys and bends and straight runs, bridges and tunnels’. 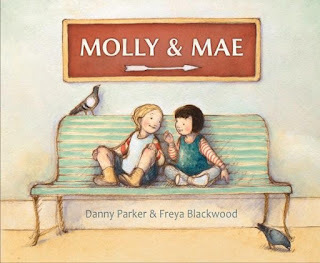 Molly and Mae’s journey is highly relatable, and offers a reflection on navigating differences, resolving problems, accepting others and strengthening bonds. Blackwood’s signature illustration style is perfectly suited to the story, with its muted pastels and expressive portrayals of the characters.